We are confronted with an important challenge how to correctly interpret the fast-changing society in the South Baltic Area, for the accomplishment of the fully sustainable development.  The aim of the SEAPLANSPACE Project is to increase the quality of the labour force engaged in MSP dialogue and the number of people who understand the impact and influence of marine governance in their daily work related to blue growth. This will be achieved by cross-border training and networking. The partnership of SEPLANSPACE Project is crucial for strengthening transnational activeness and skilled labour force in the Baltic Sea Area, developing cross-border cooperation capacity of local and regional authorities, universities, business and other stakeholders, as well as improving cross-border connectivity. Let’s become part of the blue change in the South Baltic area. Workshops prepared and runned by the world’s leading specialists in sustainable marine governance. The participants will be provided with knowledge divided into three main categories referring to different stakeholders – business, administration and NGO’s. The workshops will form the base of common knowledge, enhancing the exchange of views and perspectives among stakeholders, mutual understanding and cooperation in sustainable development of marine areas. A compendium of properly organised knowledge made available to anyone interested in the use of spatial planning instruments for sustainable management of marine areas. An Internet portal for experts interested in practical and professional information and contacts on marine spatial planning instruments. It is a tool for transboundary, intersectoral, horizontal and vertical cooperation between experts and stakeholders in marine spatial planning. A network for sustainable marine governance specialists. The use of SEAPLANSPACE PORTAL will enable them to share knowledge, inform about the new business or work opportunities, create a framework for cooperation. Marine spatial planning is a new area of professional activity. However, the most important thing is to create an educational platform in order to ensure an adequate level of communication, create a common MSP language important for sustainable the Baltic Sea governance. A key target group considers of professionals at local/municipal administration levels, companies and communities, students who plan to work in the field of blue growth, as well as postgraduates. This especially applies to people involved in developing the MSP cross-border cooperation capacity of local/regional authorities, universities, businesses and other stakeholders. Let’s create a common MSP language for better communication between stakeholders. 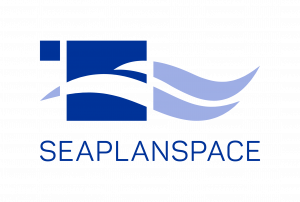 The SEAPLANSPACE Project addresses selected labour force challenges of the South Baltic Sea blue and green economy. Reinforcing cross-border cooperation will be achieved through capacity building, networking and institutional synergies to back up long and sustainable marine governance. Maritime spatial planning instruments, such as the marine spatial plan, are aimed to organise the space for its sustained use. Preventing conflicts between maritime space users and proper protection of the marine environment are two important benefits, although not the only ones. improve cross-border connectivity for a functional blue and green skilled labour force. Let’s take advantage of the Baltic Sea – “sea of opportunities”. What is the idea of MSP? Today we know that marine spatial planning (MSP) is a practical way to create and implement rational use of “seaspace”. It is important to strengthen the interaction between its users. MSP is an open process of analyzing and planning marine space with temporal distribution of various types of human activities in sea areas, leading to the achievement of economic, social and environmental goals, including sustainable development goals. The planning process is subject to analysis of the use of the marine environment and its resources, necessary for decision making. Let’s become a specialist in the new “seaspace” labour field.